The 2001 budget is interesting because it is the first one prepared by Rafik Hariri’s team after his group won the 2000 elections against the faction led by President Lahoud and after the fierce critics against the “Financial Correction Program”. It was presented few weeks before James Wolfenson’s visit to Lebanon and his critics of the economic policies and the beginning of a creeping financial crisis that lasted until the Paris 2 Conference, in November 2002. The budget includes, in line with the previous political announcements, fiscal cuts (tariffs and Social Security contributions) but its detailed analysis shows the strong continuity with the previous budgets and illustrates the considerable efforts devoted to accounting arrangements and financial acrobatics aiming at hiding the deficit. Report written during the second phase of the Cultural Heritage Project, in association with AAA (Atelier d’Architectes Associés) for the CDR and the World Bank. It includes the programming of the operation (that is presently being implemented) and the evaluation of its impact on the local community and economy. The study aims at assessing the types and scales of the risks facing a manager of funds invested on the Lebanese capital market, depending on the available instruments (exchange risk, interest rate risk, liquidity and solvency risks). 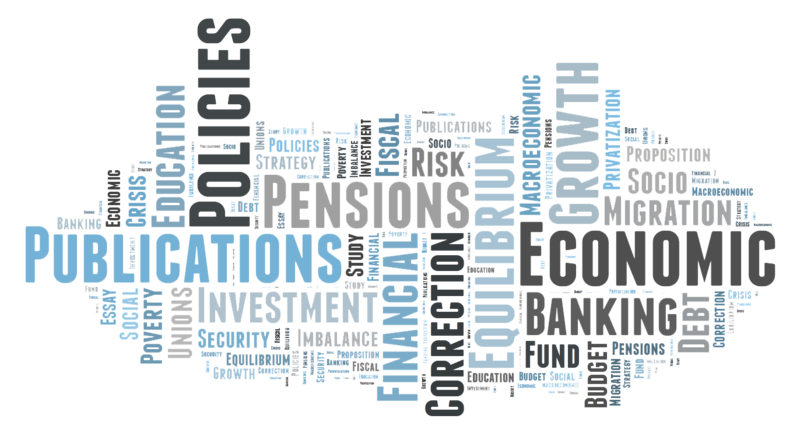 The different financial and monetary policies are examined with respect to their effects on the reallocation of risks, since the beginning of the nineties. The US President Bush issued on the 11th of March 2004 this « executive order » that, few months before the issuance of the UN Council of Security 1559, sets the regional political stage. The political and financial mechanisms and effects of this measure are analysed in detail with the dangers they imply on the economic stability of Lebanon. Until now, this measure does not seem to have been applied, at least visibly. The report formulates a strategy for social development in Lebanon aimed at orienting the action of the Government in general and that of the Economic and Social Fund for Development (that has been constituted in association with the European Union) in particular. Part I (136 p.) presents the social development strategy. It analyses the relations between the prevailing economic model and the social deficits, it assesses the adequacy of the various social programs, both public and private, and proposes the institutional framework and the main lines of action needed to amend the orientations of the socio-economic model and finally defines a series of indicators for monitoring. Part 2 (117 p.) aims at mapping the “poverty pockets” and at highlighting the socioeconomic characteristics of the “poor” in Lebanon. For this purpose, a refined spatial index of poverty has been constructed by using quantitative and regularly available measurements of consumption (see figures). Several field studies were carried to refine the knowledge of the characteristics of the “poor”, notably in rural areas and in certain peri-urban neighbourhoods. The city of Sour, listed as a UNESCO World Heritage site, includes, since the civil war, an irregular commercial port. The study aims at assessing the benefits and costs of transforming this port so as to preserve and promote the cultural character of the city. The measures needed to mitigate the losses incurred by the affected categories are highlighted. Study realized for the CDR (Council for Development and Reconstruction) in 2005 and 2006, under the direction of the author, with Dar el Handasah and IAURIF, in view of rationalizing public investment and current expenditure, in the light of the orientations of the NPMPL. The study has been presented and discussed in the Parliament but was not yet discussed in the Council of Ministers nor has it been integrated in the so-called “programs” that the Government presented at various international conferences. The different options in terms of “Sectoral Policies” are then reviewed on the basis of systematic sectoral and spatial diagnosis and through highlighting the main political, institutional, economic and technical trade-offs (in arabic, in English). The medium term (5 years) “Investment Program” covering rehabilitation and new equipment, is then deduced on the basis of a quantified evaluation of sectoral and spatial performance and needs (in english). Then the “Synthesis of the Investment Program” shows the aggregate figures in terms of types of intervention, sectoral and regional allocation. The macroeconomic and fiscal impacts of the program (and not only its financial impact) are quantified as well as that of the main sectoral policies options (in English). On each of these points, the Lebanese case is different: 1) the private sector historically dominates the education sector; 2) financing of education in general and higher education in particular is exceptionally abundant and 3) no demographic increase is foreseeable: in 2025, the youth population is expected to decrease by -5 % . But the peculiarities of its history and present situation can be valuable in a comparative approach covering several Arab Countries since they shed light on specific factors, trends and options that might still be latent in other cases. The Lebanese Government is unable to delineate a strategic vision for education in general and higher education in particular, resulting in the explosion of private higher education and diminishing means, quality and presence for the only public institution. This paper assesses the adequacy, efficiency and equity of higher education financing in Lebanon in both the public and private sector. The conclusion discusses different approaches and strategies to remedy the challenges of higher education financing in Lebanon, acknowledging that higher education is far more a response to external stimuli than an exogenous lever or even an autonomous field of action. What economic growth model for the next decade ? The conference gave the opportunity to explicit the analysis and the diagnosis underlying the “Financial Correction Program” that had been presented few months earlier to the Lebanese Government. The paper tackles in a critical way the theses that were still dominant at that time on the Lebanese economy, correcting certain data and rectifying certain concepts, and explores the available choices in terms of growth models for Lebanon, with respect to its regional environment.